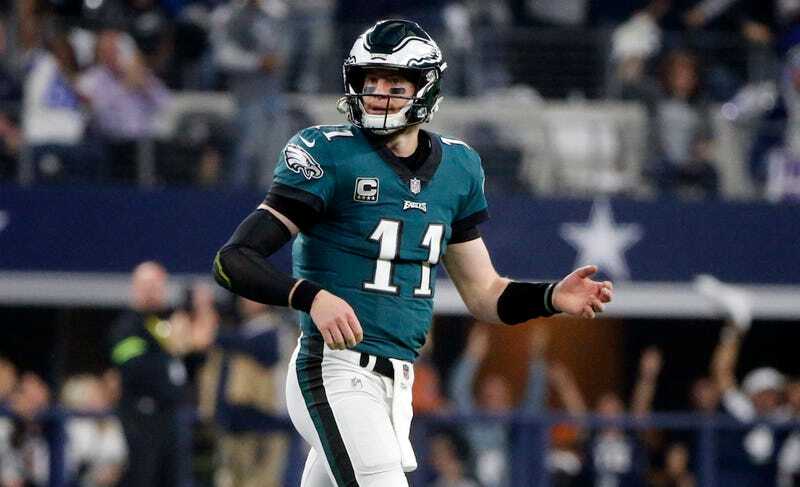 Eagles QB Carson Wentz has been dealing with back issues all season, and after undergoing a battery of tests earlier this week, he apparently has been diagnosed with a fractured vertebra. ESPN’s Adam Schefter got the scoop, and the injury seems like it will probably keep him out at least this weekend against the Rams, if not much longer. Doug Pederson has been vague about Wentz’s status all week, and it turns out the “tightness” and “soreness” are far more serious than originally thought. 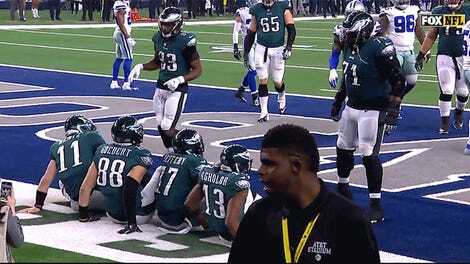 The injury won’t require surgery—it’s just a matter of rest apparently—so all signs point to the 6-7 Eagles shutting down Wentz for the rest of the season to allow him to fully heal up before next season. After all, he is coming back from a devastating knee injury and he never seemed fully right this year. The good news for Eagles fans is, Nick Foles is set to take over, and he only gets stronger as the playoffs approach.